Flight training in the air will be in a modern 2-seat Cessna-162 Skycatcher training aircraft. Or in a 4-seat Cessna-172 Skyhawk. The latter is in fact, the most popular airplane ever made. 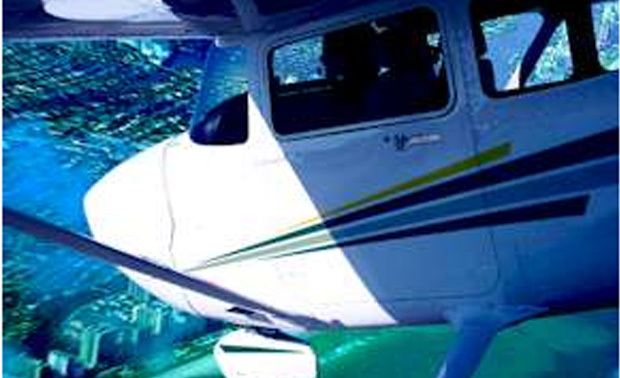 You'll learn the skills and gain experience necessary to safely and confidently operate the plane on your own. And get your Solo Pilot License (sm) and then pass your check ride for either a Sport Pilot License or Private Pilot certificate. 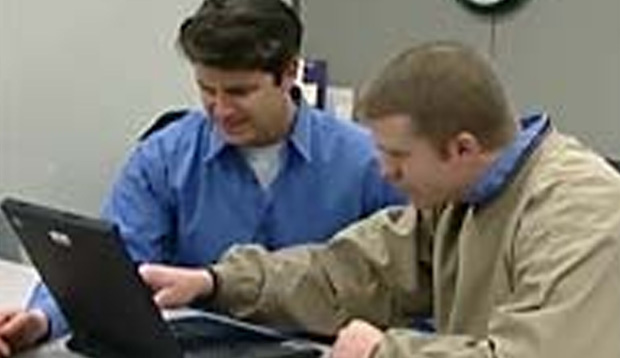 Flight Training on the Ground . . . . Students use web-based interactive presentations, 1:1 Ground School sessions, as well as personalized 1:1 in-aircraft flight instruction. Computer-based concepts overview. One-to-one instructor time. On the Ground, you will learn the bits of "book knowledge" you'll need to be a proficient pilot, at your own pace. You can use interactive presentations. And see full motion flight preview videos. 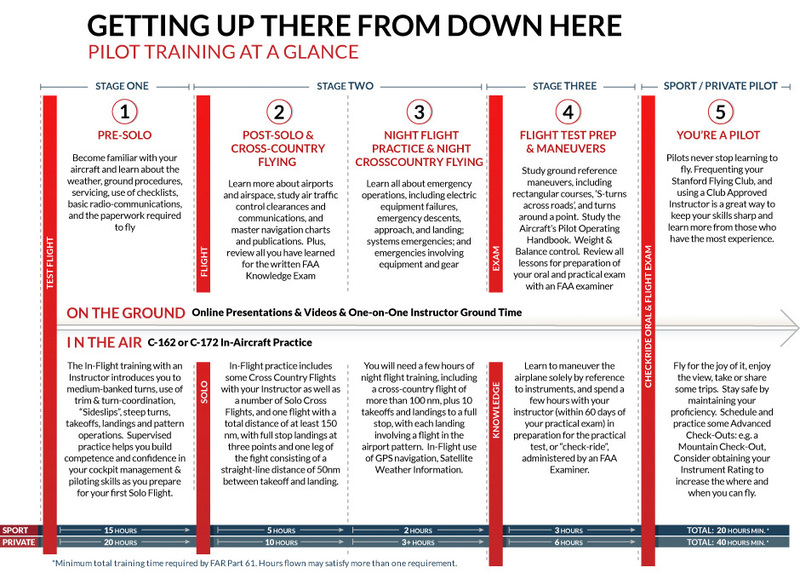 1:1 Ground Time with your Instructor will complement your web-based and in-flight training, to further discuss, brief and clarify the various Pilot Training and flying concepts. 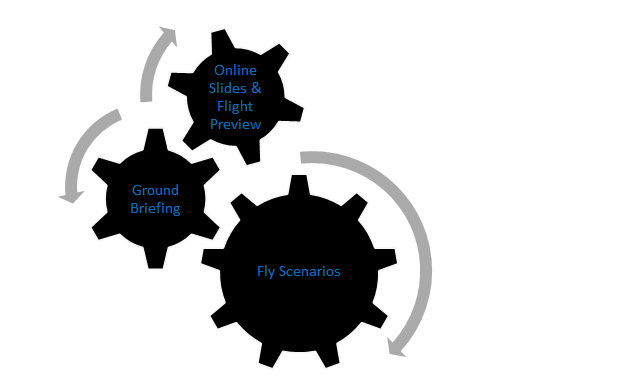 Web-based Training, One-to-One Ground School, and, in-flight practice is effectively synchronized and integrated. According to license completion statistics from Cessna, people using their Integrated Flight Training system, can, on average, complete their Pilot License with up to 26% fewer flight hours than the national average.